Eminent personalities have paid tributes to the late scholar and clergyman, Apostle Hayford Alile, whose service of songs was held yesterday at the St. Joseph Chosen Church of God in Benin City. 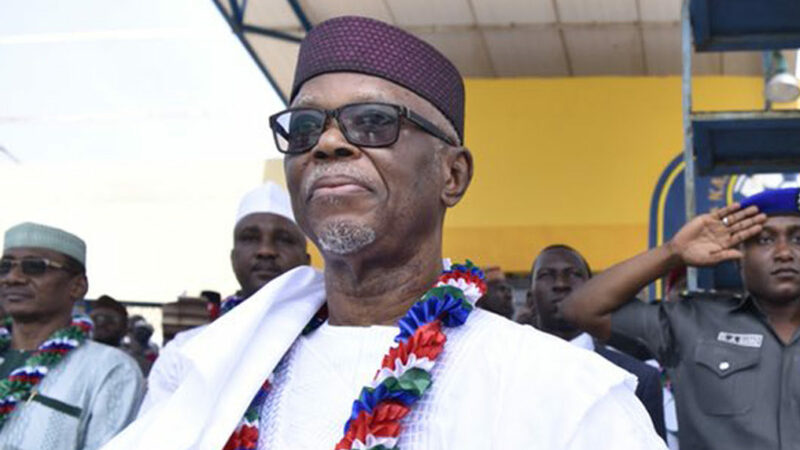 Among them are the immediate past National Chairman of the All Progressive Congress (APC), John Odigie-Oyegun, and former military administrator of defunct Bendel State (now Edo and Delta states), Gen. Jeremiah Useni. Alile, was until his death the Spiritual Leader of St. Joseph’s Chosen Church of God International and founder of the Hayford Alile Foundation (THAF).Among other dignitaries who paid tributes to their departed friend and colleague were former Director-General, Nigerian Stock Exchange (NSE), Prof. Ndi Okereke-Onyiuke, who described him as a legend that will forever be missed in the NSE. She said: “Your candle has burnt out, but your legend remains in all of us that ever walked through the halls and floor of the Nigerian Stock Exchange.”Others were family, friends, associates, members of the Christian community, including the chairman of Pentecostal Fellowship of Nigeria (PFN) Edo State chapter, Bishop Mon Igbinosa, and the Spiritual leader of Christ Chosen Church of God, Most Senior Apostles David Unefe and Jonathan Onaghise. The late Alile attended the University of Ibadan as a state scholar in Physics and thereafter proceeded to Howard University, Washington D.C., where he earned his B.A. degree in Economics. In 1973, he returned to Nigeria to head the Management Consulting Department of the Centre for Management Development, Lagos where he was responsible for the establishment of the Institute of Management Consultants (IMCON) and the Nigerian Association of Management Consultants (NAMCON).He was later appointed in 1976 as the Executive Director/CEO of the then Lagos Stock Exchange (LSE). He became the Director-General and Chief Executive Officer of The Nigeria Stock Exchange in 1979 from where he retired in 1999.